For what it's worth, until reading today's blog I was only ever aware of the proposed UK version. I think the motivation for 'si:krɪtɪv is that secretive is felt to be cognate with secret, but not with secretion and the usual verb secrete. The OED lists three secrete verbs, of which only the biological term is at all common. I for one would recognise the 'hide' verb, but never use it. With ɪn'tɜ:(r)prɪtɪv the motivation is even clearer: the only cognates we use are interpreter and interpretation — and certainly not *interpretion. I would be tempted to claim that initial-stress in "constitutive" is more typical in AmE, but I'm not sure whether my brain is playing tricks on me. I've always gone with /ˈsʌplɨtɪv/, but then I'm pretty sure I've never heard it spoken (even by myself, thankfully). I said ɪkˈspliːtɪv when I first read the word, but then I heard other Americans saying ˈeksplət̬ɪv so I switched to that pronunciation. I don't like it as much though. 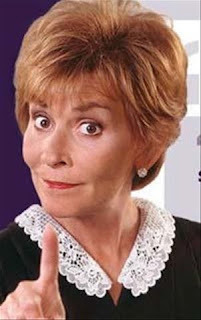 On a different note, I like Judge Judy's accent. I used to think secreted "hidden" was from a verb secret, pronounced and spelt like the noun, differently from secrete "emit". My LPD2 lists /ˈsiːkrɪt/ with a warning sign for the base form secrete, without distinction of sense. For those like former me for whom it is a "non-spelling-pronunciation" it should only apply to the inflections, and not at all to the sense "emit". I may find an error which is an example of 'argumentative' as the stress falling on the same syllable of the stem. Does anybody know how USDAW officially pronounces its full name Union of Shop, Distributive and Allied Workers? 레오니스: you're right. A better example at that point would be representative.